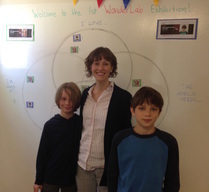 What do projects at WonderLab actually look like? Anything and everything! We want our learners to pursue whatever they are super excited about. Grey was interested in conserving water. He wanted to build a cheap grey water recycling system people could use in their houses. After doing some research, he realized he wouldn’t be able to build a filter from scratch that would get all the pharmaceuticals out of the water. So, he decided to shift gears and build an app to make saving water into a game people could play with their friends and family members, winning points for doing things that save water (like turning off the sink while brushing teeth). Next he began to build a board game prototype of his game and taking some online classes to learn how to make an app. 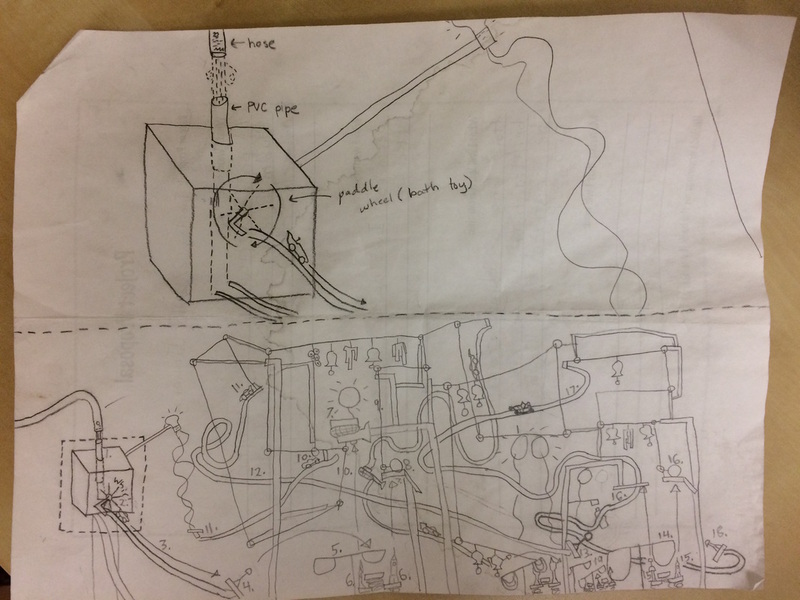 Robby drew an incredible design for a Rube Goldberg machine (without even knowing that there was such a thing as a Rube Goldberg machine!) and decided to bring it to life. He started by building a water wheel that knocked a car down a ramp and set off a shooting dart. Gage designed a children’s museum that was also a hotel and a laboratory. His hope is to eventually build this museum. In the process of creating his own museum, he contacted and interviewed local museum owners to learn from their experiences. After drawing out floor plans for each of the building's seven floors, Gage began designing specific exhibits, including a hands-on magnetic levitation exhibit with a Lego starship that floats around a path, and an Interactive Village for which he is taking a Youth Digital 3D game design course to learn how to build.